I'm back for another edition of Five on Friday!! 1. First things first, only FOUR more days of school after today!!!!!!!! Ahhhh I just feel like it's never going to end!!! 2. Wednesday night was Bunco night once again, and I won Left, Right Center!!! What was funny was we were all standing around talking about Lilly Pulitzer sales and forgot the game was still going on! Ha! But I was still excited about all of my $1 bills! These ladies are so much fun! I love getting together with them every month! 3. Last night we started planning my birthday trip to VEGAS!!!! Trav has to go there for work, but he's extending his stay a little bit so I can fly out and join him for a few days! I've never been, so be sure to let me know where we need to eat and things we must do! 4. Our nanny has been on vacation for the last week, so Ella has been getting super spoiled by both sets of grandparents. My parents came at the end of last week, and Trav's parents have been here all of this week! 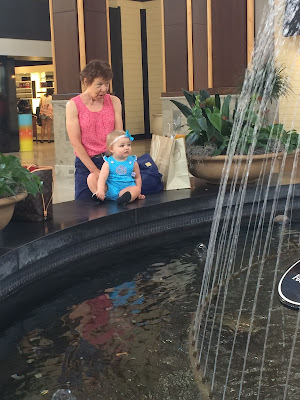 We do miss our fabulous nanny, but Ella is having lots of fun with her grandparents! 5. This Sunday is Travis' birthday!!!! And I have NOOOO clue what to get him. Nothing like being last minute. Any ideas??? He likes sports and UNC. He does not like me spending money. Vegas - how exciting!! 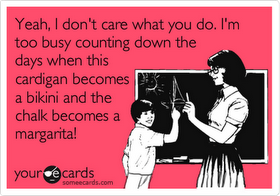 And I think I need to become a school nurse for the summer vacation! Random question, where do you find your good walking shoes for Ella? I'm having trouble finding good shoes that seem to fit Avery comfortably! 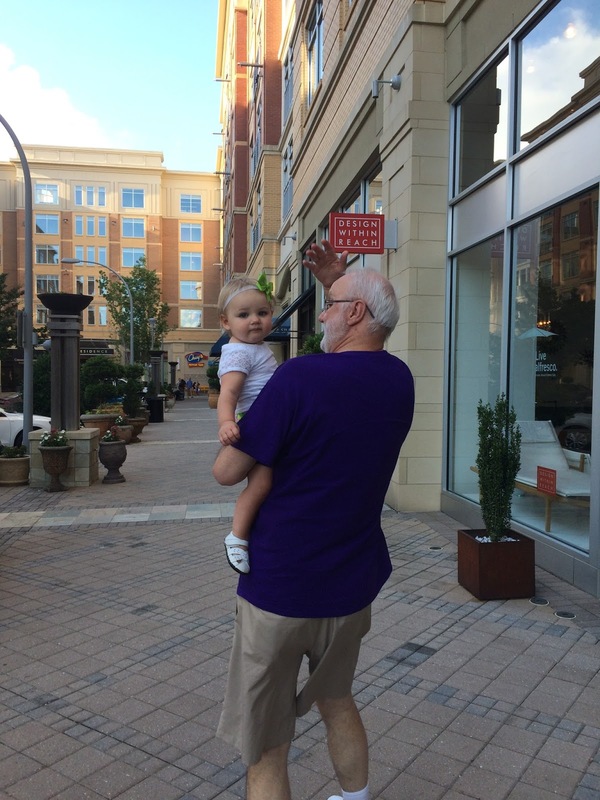 So fun that Ella got a week of fun with her grandparents!! And yay for Vegas! I've never been, but I know any vacation without your toddler is always a vacation!